Captured from CHAPTER 2 : ENQUIRY IN NORTH BORNEO, Section D. - Summary of Evidence from Indegenous and Chinese Populations and Political Parties ; 118 (e) Status of North Borneo in Malaysia. 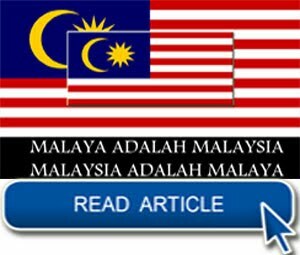 Bukti Sabah sebagai bukan satu daripada 13 atupun 14 negeri dalam Malaysia. This "Enquiry" was conducted in a highly questionable manner. 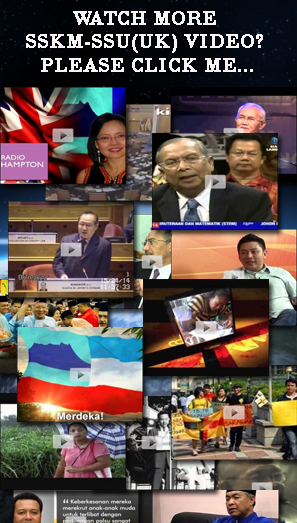 It did not take into account the anti-Malaysia opposition in Brunei and Sarawak, and to a lesser extent in Sabah. 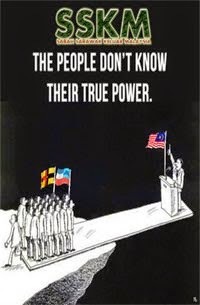 Did they ask the many thousands who were in the streets of Kuching to demonstrate against the British/Malayan "Malaysia Plan" because it was “neo-colonial plan” in the early 1960s? What sort of opinion poll was it? How far did they go to assess public opinion? 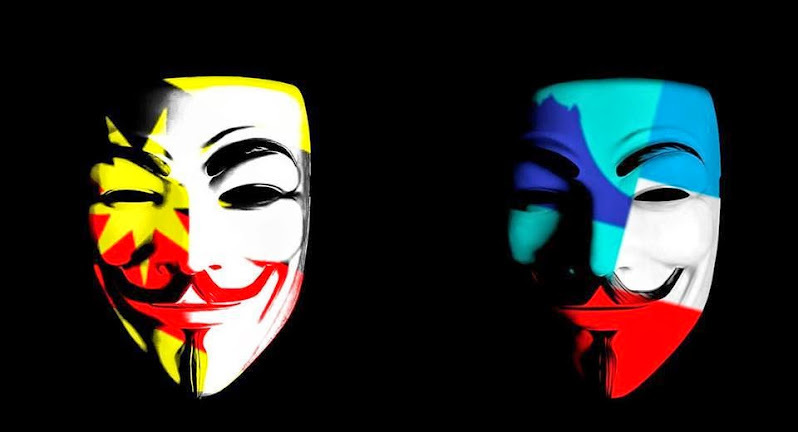 How can you determine the fate of 2 countries by just consulting a few hundred (OR thousand for what it was worth) people? 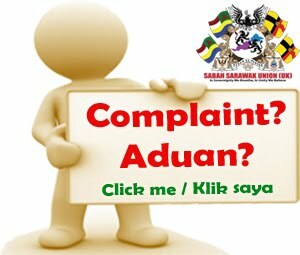 What proper framework of inquiry and rules did they use to "gauge" people's "feelings"? (It was not a UN conducted enquiry- But would still be questionable in those days when the UN was manipulated by the major colonial powers). 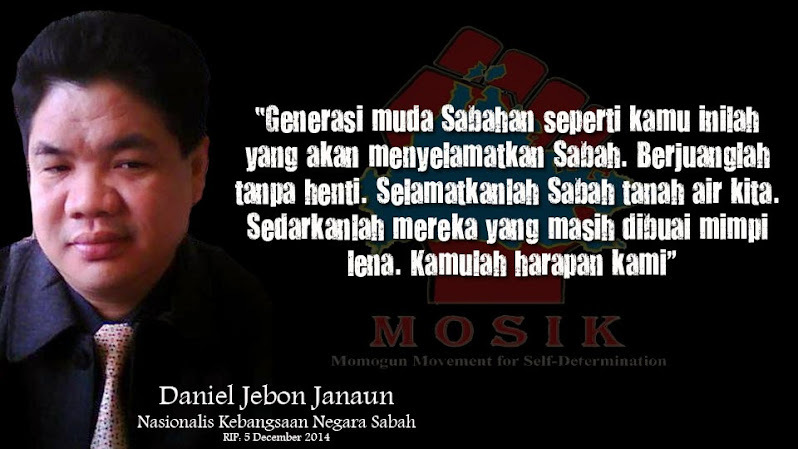 Should they not have slowed down and held a general referendum instead of rushing Sabah and Sarawak into "Malaysia"?? 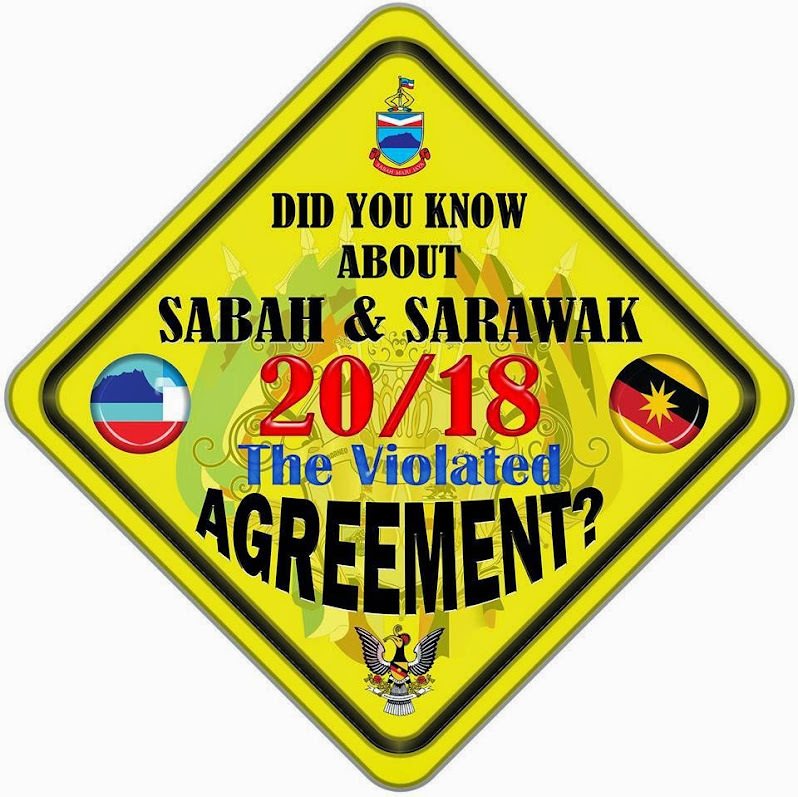 Even the British Governors of Sabah and Sarawak expressed similar views and said the people were not ready for the Malaysia idea. 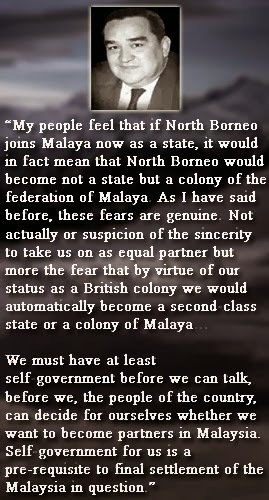 It was the fate of many people and the British failed to exercise due care and responsibility to determine whether the people wanted to be in Malaysia and only after the colonial master had carried out a programme to educate and fully inform the people of what they would be walking into. 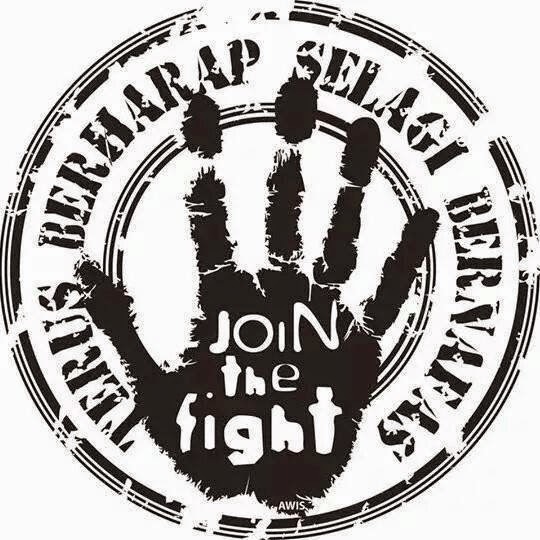 The massive anti-Malaysia opposition in Northern Borneo erupted including mass demonstrations, the Brunei independence Uprising leading to the protracted Sarawak guerrilla independence war from 1962 to 1990. These are just some of the questions not thrashed out in the early 1960s. They were in a rush and did not give us a fair chance! 1. 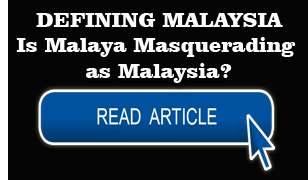 The British rationalisation for Malaysia was that it would like a combination of 5 countries for joint security against the spread of communism ("red scare") and foreign invasion (original plan included Brunei) fundamentally to defend their economic and strategic interests in South East Asia. 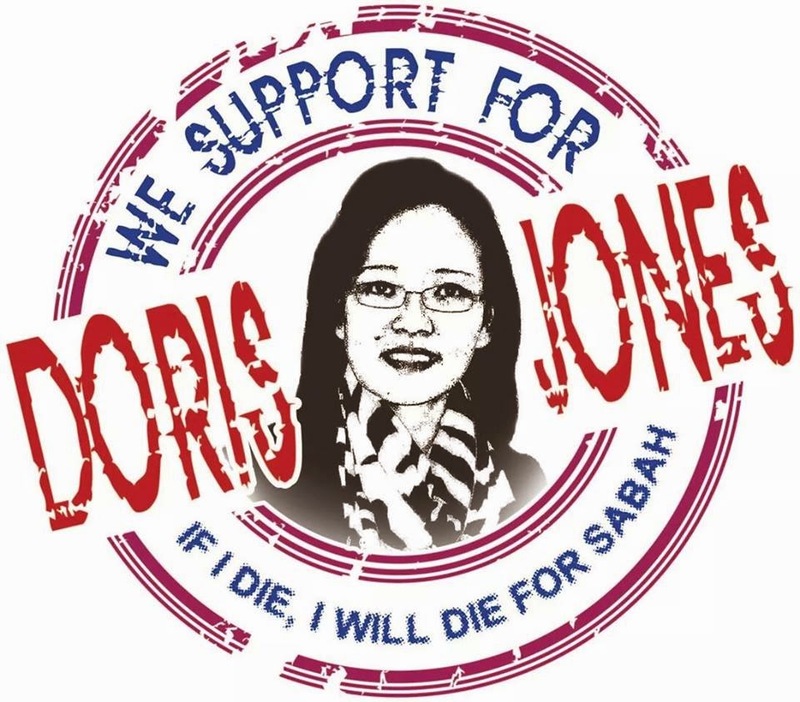 It could be argued that this original idea had already broke down when Brunei was not included in Malaysia and when Singapore left in 1965. 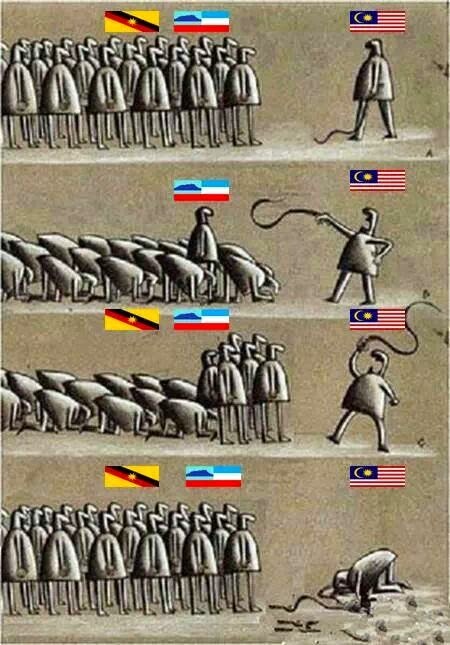 Neither Brunei or Singapore were invaded. 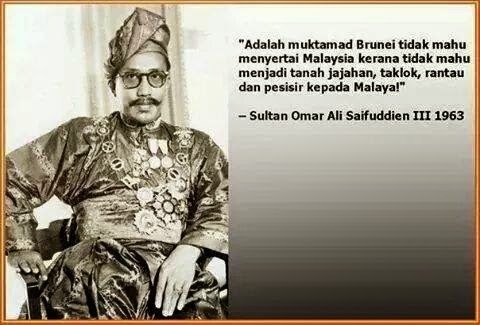 But if we wake up one day we can see that Sabah and Sarawak were INVADED and taken over by Malaya (this was the UMNO & Tunku's private joke played us poor innocents at the time!) 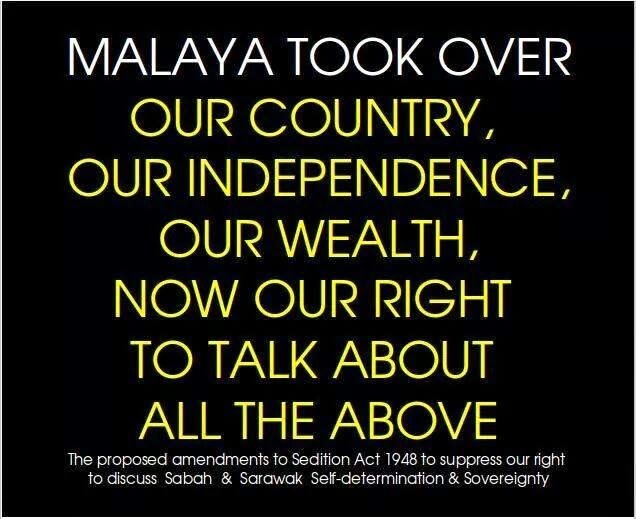 The Malayan government in its most patronising way- openly said they would "protect" us - from what? The British rationale failed. 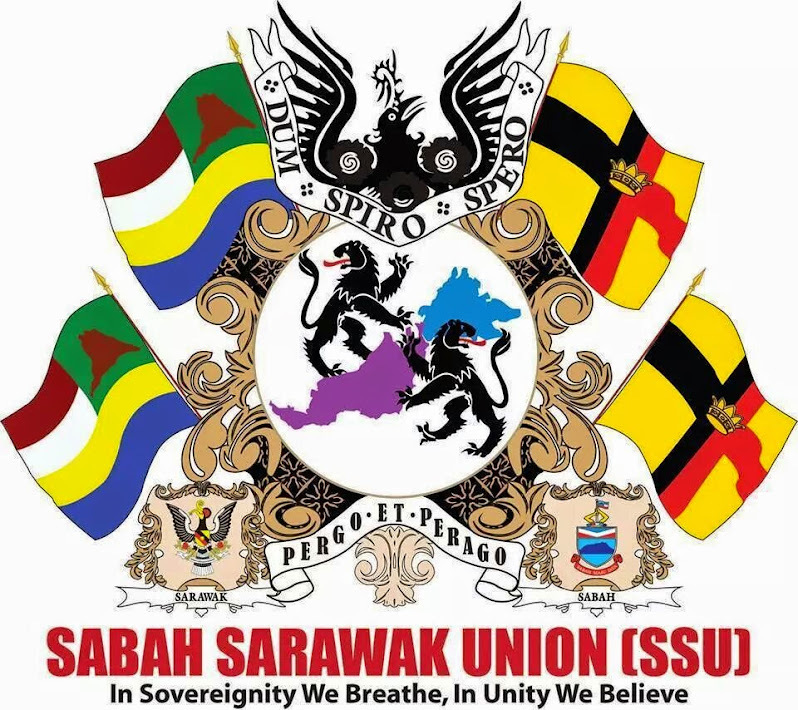 They helped Malayan UMNO invade Sabah and Sarawak not protect them from Malayan invasion despite (Sabah and) Sarawak having a “protectorate” Treaty with Britain in 1888. 2. 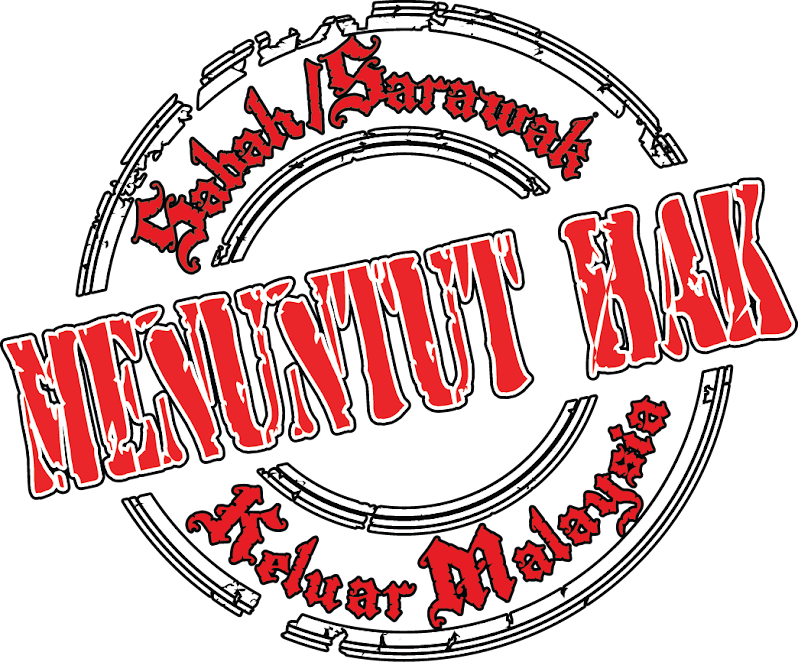 The Malayan UMNO rationalisation was the issue of "racial balance"- combining the Malays and Sabah Sarawak "natives" numbers to counter balance the bigger Singaporean Chinese numbers. 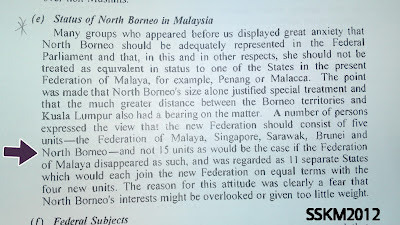 The argument fell flat when Brunei did not "join" - thus the numbers of natives would have been deflated. 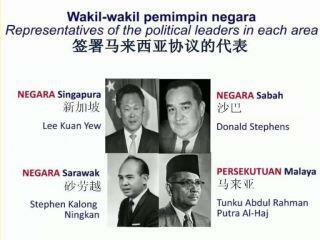 Then Singapore left in 1965- this means Malays become the majority. 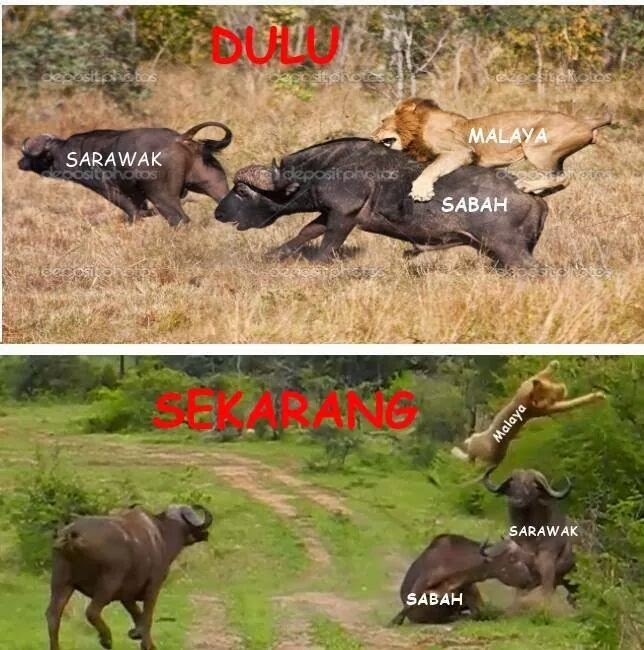 It benefitted UMNO's plan for Malay supremacy under the NEP apartheid system now in place since 1969. 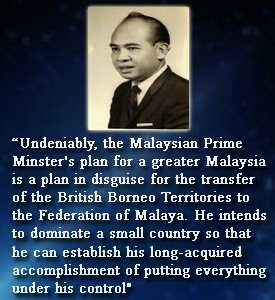 The whole Malaysia concept had broken down by 1965. 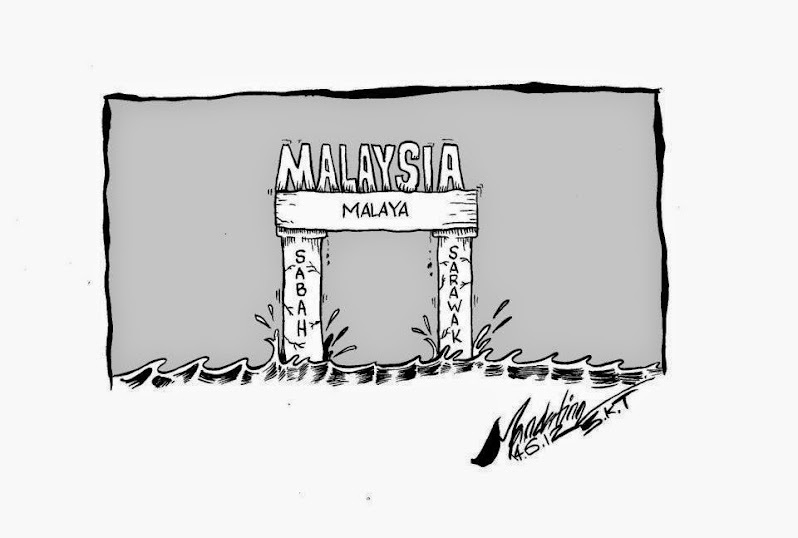 We were left stranded in Malaysia without ever being given the opportunity to say "we also want to get out!" 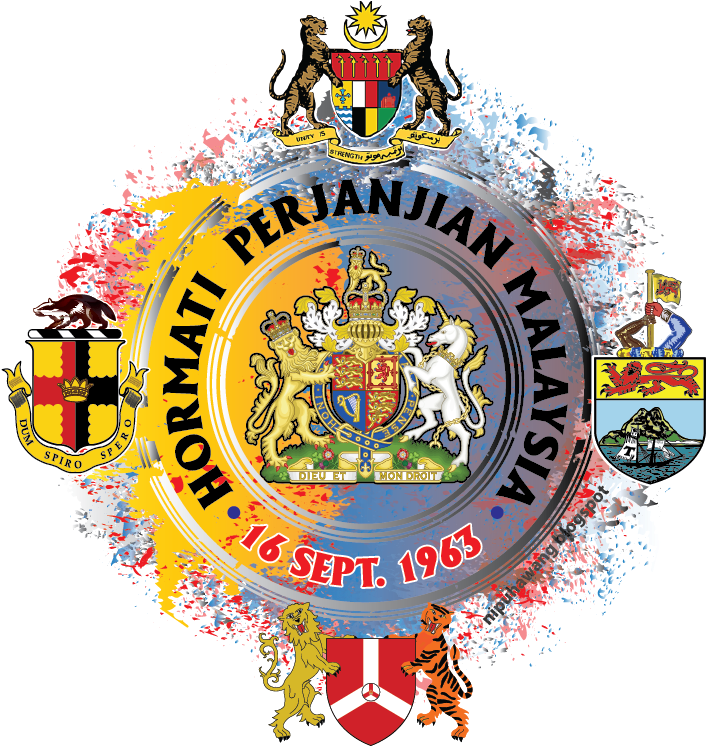 The fundamental fears many of use still alive and our predecessors feared and expressed openly was being re-colonized by Malaya. 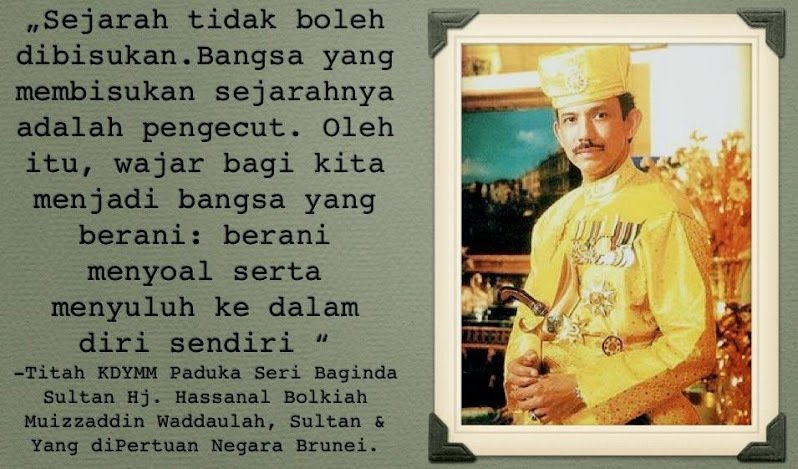 So Tunku A Rahman (who did not dream up "Malaysia" but the British did) wrote to assure us that Malaya would never colonize Sabah or Sarawak. The 18/20 Points Agreement also reflected this fear of re-colonization. But assurances and signed guarantees proved useless. Malaya went ahead to Malayanize the 2 colonies and took control of our destiny and resources. 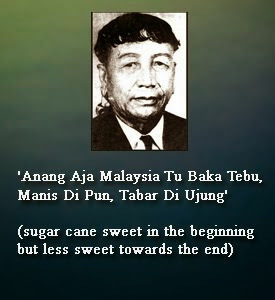 They used our oil resources to develop the Malayan economy and gave us back crumbs! 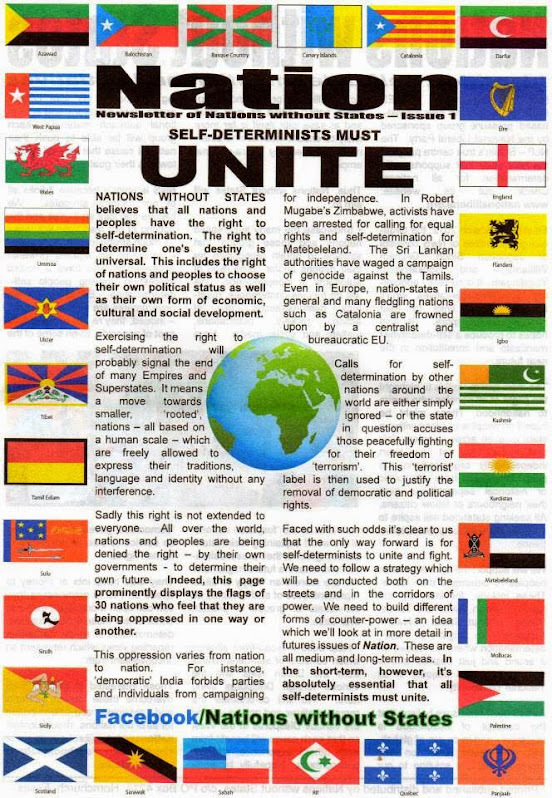 “Bornenonization” and all other rights guaranteed by the Agreements were broken. 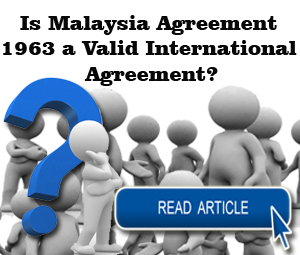 In 1973 when Sabah and Sarawak demanded a review of the Malaysia Agreement, this was arbitrarily refused by Razak. 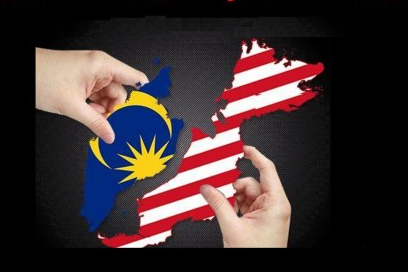 How could he deny us our right which was in the Malaysia Agreement? 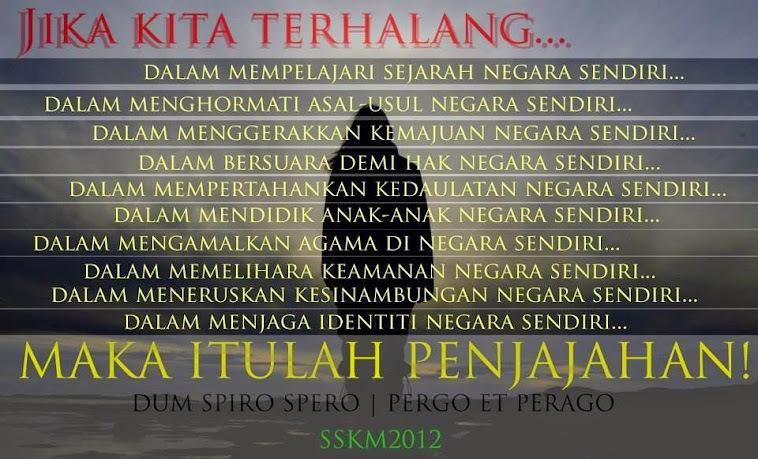 Sweep it under the carpet the usual UMNO way of doing things! 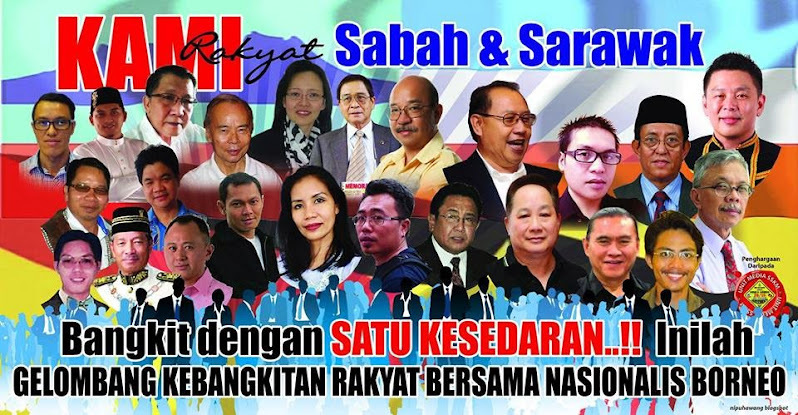 We can ask ourselves what benefit is there for Sabah and Sarawak to remain in Malaysia? Many of us will agree there is absolutely NONE! 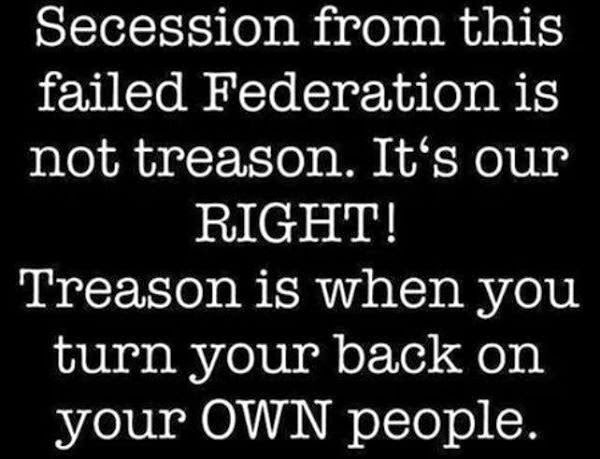 Looking at Brunei and Singapore we can only envy them as prosperous and independent little states while Sabah and Sarawak the richest territories have been rdeuced to be the most poverty strickened colinies in Malaya! 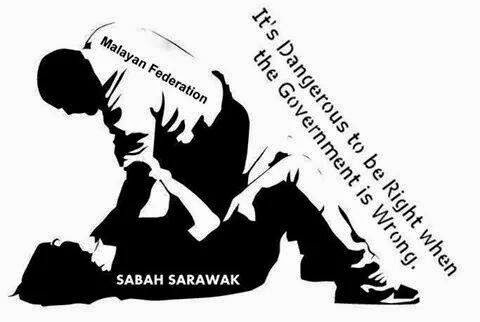 The sooner we take Sabah Sarawak out of Malaysia the better! 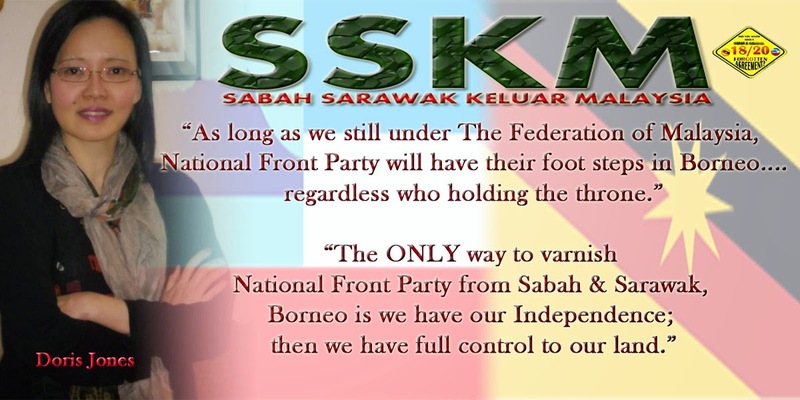 For Sarawakians remember that 22 July on Sunday is our "independence day". 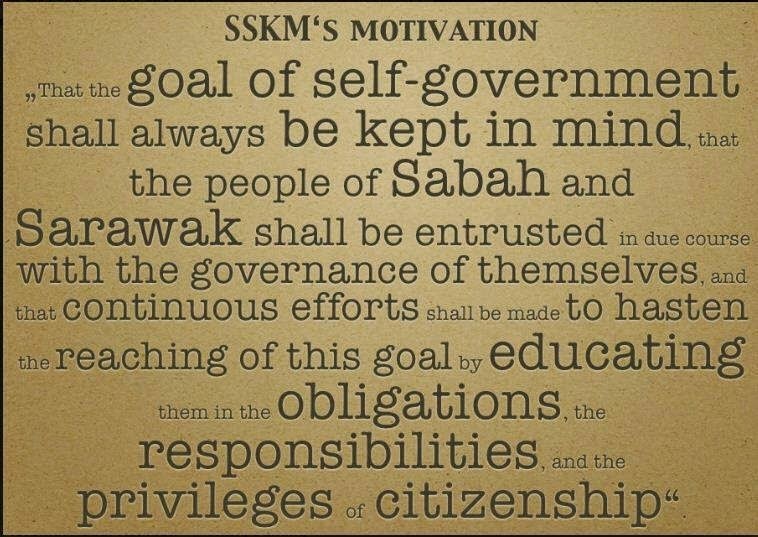 The British "gave" us our independence on this date in 1963 (Sabah got its independence on 31 August 1963) and by 16 September 1963 this was taken away when Sabah & Sarawak were ANNEXED and colonized in Malaysia under UMNO rule. 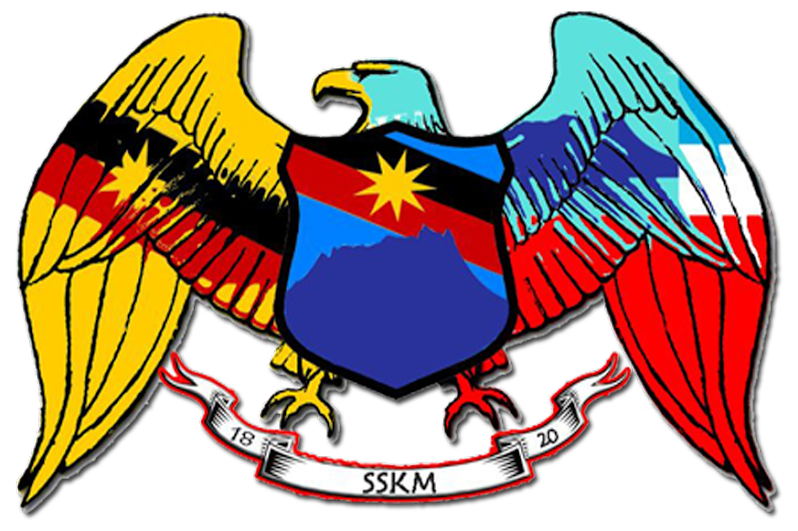 SSKM has organised private commemoration of this day in London, Kuching and other Sarawak towns, Dubai and Kuala Lumpur. 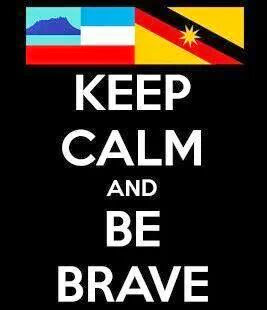 If you wish fly the Malayan colonial flag upside down (as a sign of distress) and raise the Sarawak flag of your choice. Many of us will agree there is absolutely NONE! 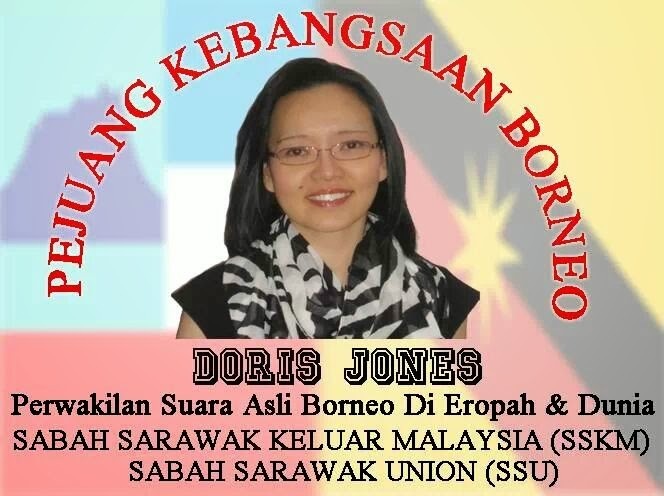 Looking at Brunei and Singapore we can only envy them as prosperous and independent little states while Sabah and Sarawak the richest territories have been reduced to be the most poverty stricken colonies in Malaysia!